Following the installation of a permanent bronze memorial sculpture in his hometown of Redditch, Worcestershire, a very special music event is taking place in the area this Saturday to celebrate his 70th Birthday, life and legacy. 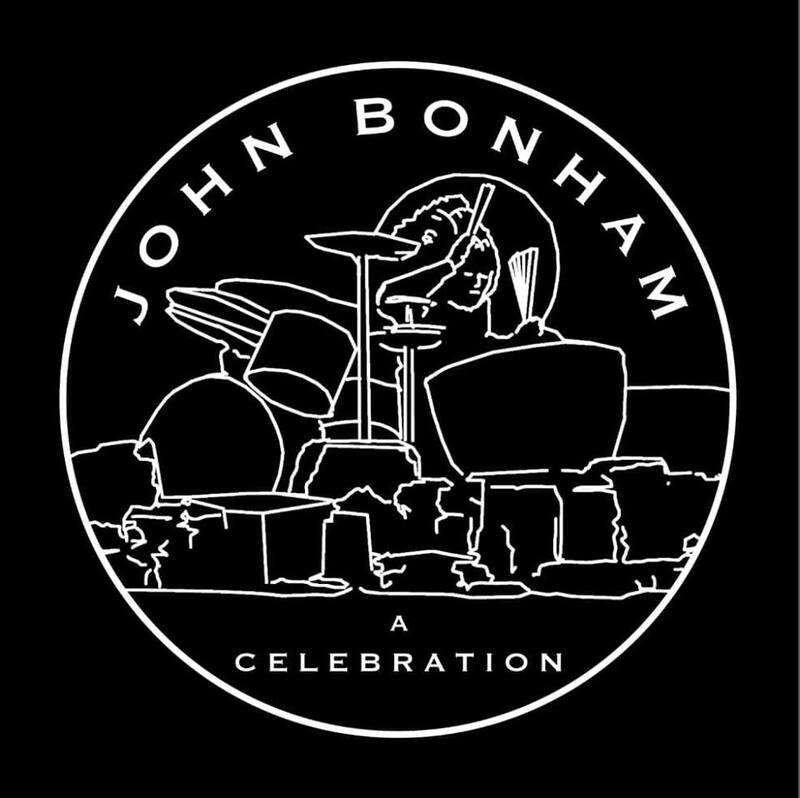 Next Saturday 22 Sept, Redditch West Midlands, Deborah Bonham and the band with some special guests will perform some of John’s favourite tunes at the John Bonham ‘A Celebration’ event. At around noon, Deborah will present Redditch council ownership of the wonderful John Bonham Bronze Memorial Sculpture on Mercian Square by St Stephens Church. The all day music event will start at 1pm, just a short walk from John’s statue. 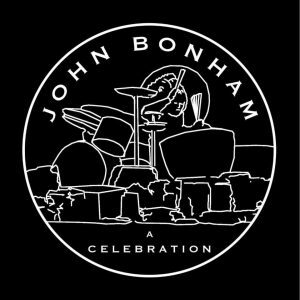 All proceeds to John Bonham’s Teenage Cancer Trust West Midlands. Looks like it will be a sell out so grab your tickets in advance. 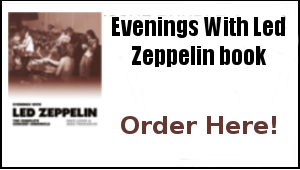 Lots of great music all day, and the night will finish off with a fabulous Led Zeppelin flavour. I am aiming to be there and look forward to seeing all that can make it along. Julian and I checked out the venue on Monday and our test of footage from Earls Court looked and sounded very good. 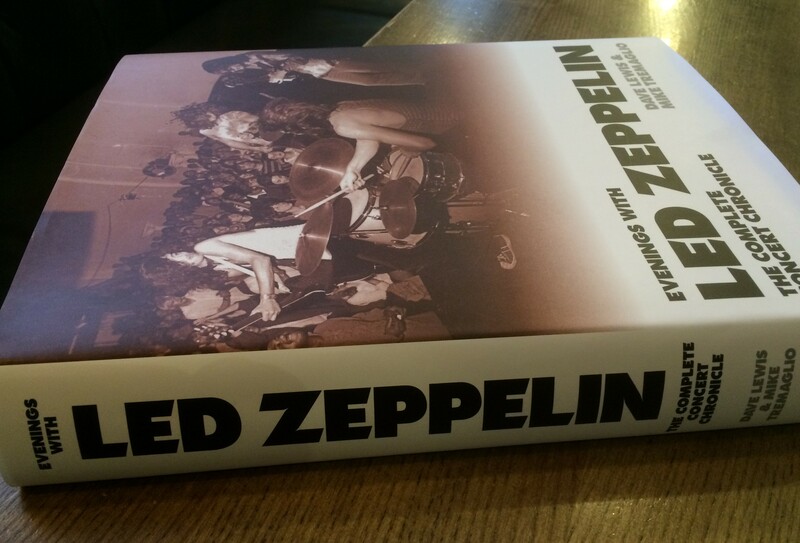 Customers who pre-ordered Led Zeppelin’s official photo book have started receiving their orders this week. The book officially goes on sale on October 9. 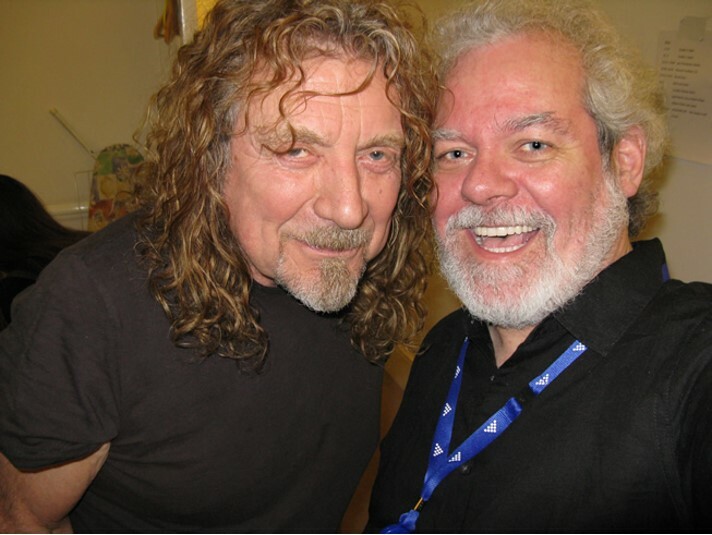 Led Zeppelin podcast Ramble On Radio has returned with a new episode. You can listen to it here. Show length: about 89 minutes. Began: 8:30. Ended: 9:58. Many thanks to Greg for that report. Carry Fire – what a powerhouse! So sad this was the only song from tonight’s show off the new album! I can remember exactly where I was when the news of Jimi Hendrix death came through on September 18, 1970 – 48 years ago on Tuesday. I was listening to the Tommy Vance Friday What’s New programme as I did most Fridays back then eager to hear the latest single releases. Around 5pm the announcement was made on the BBC Radio One news and Tommy went on to provide a fitting tribute to the guitar legend noting the inconsistencies of his performances over the past year. I’m just listening to that extract of that speech on the bootleg of the evening show I have titled Shout That Loud. They go on to do an absolute steller version of That’s The Way with Plant’s vocals sounding absolutely incredible. ‘’I wonder how we’re gonna tell you’’ he sings slightly changing the lyrics. Behind him Jimmy strums away sweetly and JPJ adds mandolin totally complimenting the mood. That’s The Way performed by Led Zeppelin one day after the death of Jimi Hendrix is an awesome performance. His music certainly does. 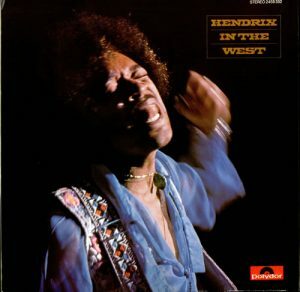 I had a real Hendrix fascination around 1972-3 and brought a fair few of his albums. I went to see the Joe Boyd documentary film in London and loved the soundtrack. I also love the Hendrix In The West live album and that one was on the player on Tuesday and sounding superb. 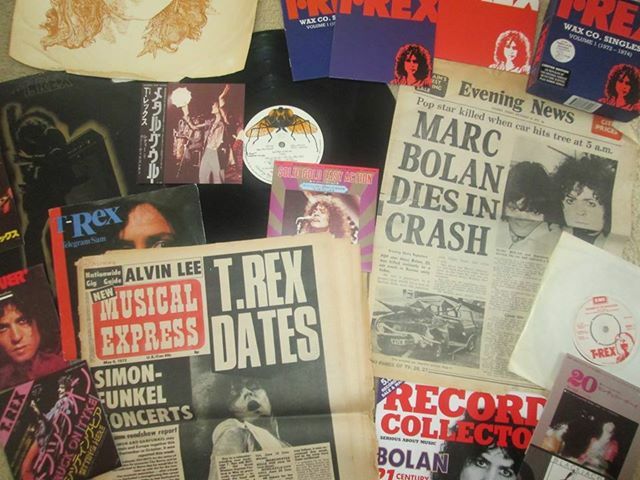 Sunday marked the 41st anniversary of the death of Marc Bolan. Another of my all time heroes and one of the naturally great looking rock stars. 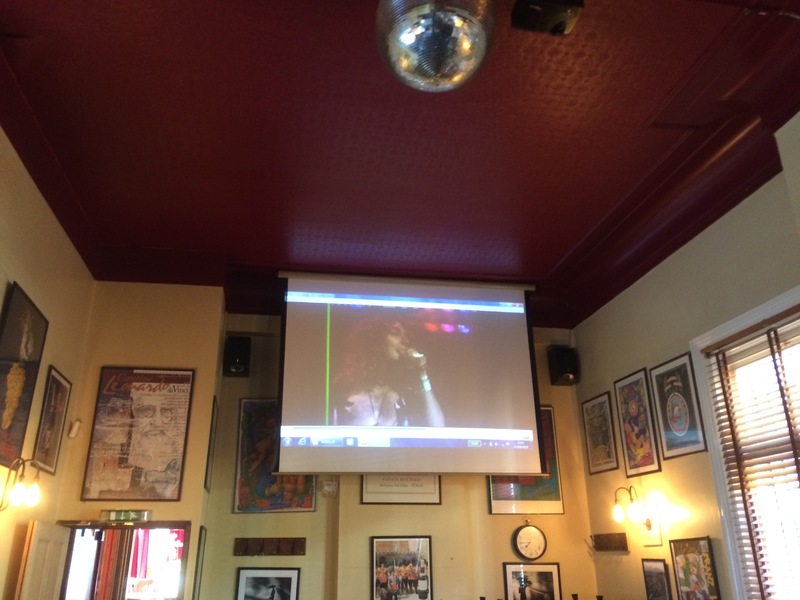 There was plenty of T.Rex on the player here today the weekend – every Marc/T.Rex single of the early 70s was an event and they still sound so fresh. 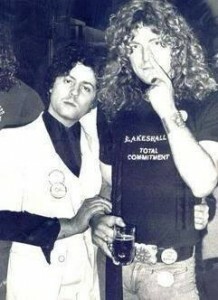 Here’s a pic of Marc with Robert Plant circa 1976 -taken I think at the Cardiff Rock Festival. Marc Bolan was the epitome of the word STAR – when I was a great coat wearing Zep head age 15, amongst all the teenyboppers Marc Bolan and T. Rex were still cool. His album Electric Warrior is amongst my all time favourites and his singles such as Telegram Sam, Metal Guru,Children Of The Revolution, 20th Century Boy etc always inspire great 1970s memories. We learned today of the sad news that Maartin Allcock had passed away after several months of battling the final stages of liver cancer. Maart’s work with Tull starting in the late 80s was memorable for his joy and exuberant commitment to music of all kinds – even ours. His time with the Fairports and his various collaborations with artists too numerous to mention here were marked by his skills in mastering several instruments and tackling many genres. He leaves behind a treasure trove of recordings and a feast of memories. Many thanks for all the support on this one. The TBL Limited Edition signed by the Editor with interview insert is selling well – if you have recently ordered I am just awaiting fresh stock and books should be going out over the next ten days. Still a fair bit to do on this – and with the current full on workload it’s looking more likely that I will hold this issue over to publish early in 2019. With so many led Zep related books already scheduled, I feel it might be as well to wait until the new year – that way there will be something to look forward to after all the 50th anniversary celebrations. More on all this soon. 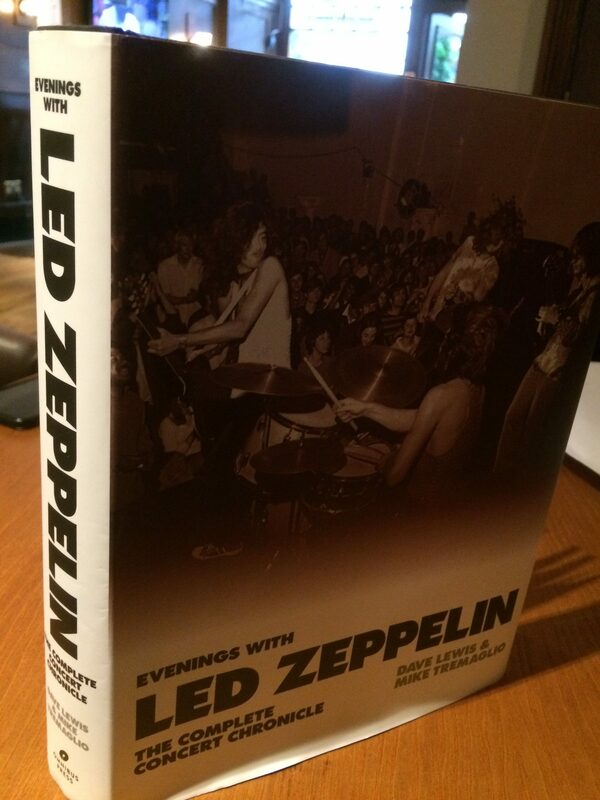 The publication of the Evenings With Led Zeppelin book will be a massive relief for me. It really has been one of the biggest challenges of my long writing career. 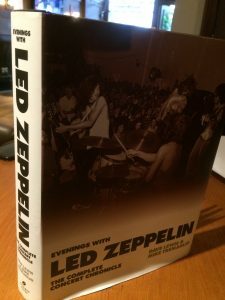 Mike Tremaglio and I are now very keen to promote it and get the message out as to why we think this book is a very significant addition to the ever creaking Zep bookshelf. 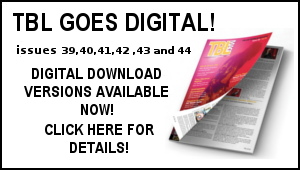 With that one completed, I am already looking at the next projects and there are a couple in mind – one is to compile a TBL Greatest Hits – this would take the form of a 40 year overview extracting the best features from the magazine’s 40 plus issues. This is all a long way off yet but I am already amassing a fair bit of TBL visual history that would compliment the text. I am also slowly chipping away at the DL memoirs. I’ve mentioned this idea before – I am very keen to gather my memories of the past 50 plus years of being involved in music – listening, watching, selling and writing about it. Much of this would of course encompass my chronicling of Led Zeppelin. Again, this is a way off yet but I am already logging various episodes and reminisces. The book tour had been delayed from early September as sadly my Dad had passed away in the late August so it was a difficult time, but once on the road it was a hugely enjoyable week- and on the Thursday there was a very memorable last stop off at BBC RadioNottingham. 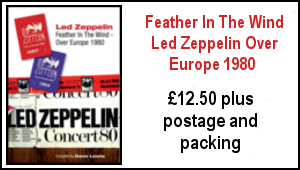 On arrival lo and behold, lying in wait was the late Mick Hinton, loyal drum roadie of John Bonham – a man I had last seen on the Over Europe tour. Now residing in Nottingham, Mick had heard a trailer of my appearance and decided to ring up and get in on the act. 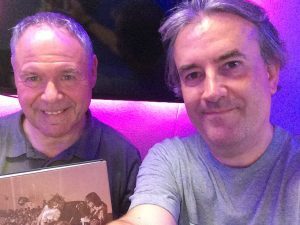 Unsurprisingly this was a very lively of the interview as Mick relayed his tales of yore (or as clean a version as could be aired at 5pm). It was the beginning of several significant encounters with the former Zep insider – notably at the 1992 London Led Zeppelin Convention I co organised with Andy Adams and a trip to interview him for the TBL mag in Nottingham. Many of these stories I’m saving for my memoirs. By way of a preview I can reveal that Gary Foy’s first association with Mick was clearing up behind one of the Convention stalls after Mick had politely thrown up. Oh yes that trip to interview Mick in Nottingham. This included drinking a few cans of Tenant’s Extra strong lager at his place that ensured rather than stop off at Bedford on the train back, I found myself in St Pancras station London. Yes in my rather inebriated state I had slept right through! Ahh sweet memories of 27 years back. By the way the A Celebration book is now long out of print though it does turn up frequently on eBay. Back in 1972/3 , I was absolutely obsessed with reading the weekly music press ie NME/Melody Maker, Disc etc – and the regular monthly mag the brilliant Let It Rock. 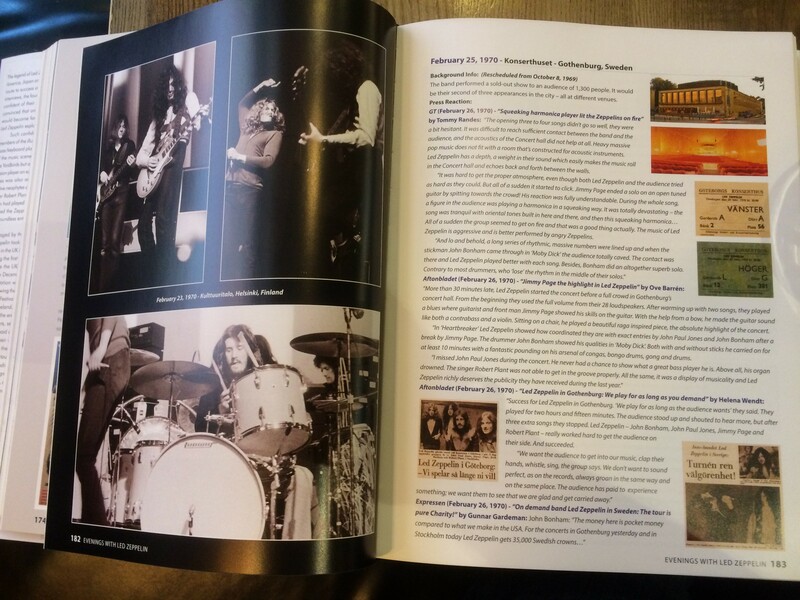 I devoured every word of these publications – soaking up these vital sources of info greatly enhanced my appreciation and knowledge of music – central to which was of course Led Zeppelin. Along with my affinity for the music of Led Zep, The Beatles, Stones Who etc, my weekly intake of these publications did open up a world of possibility and encourage me to dream. Massively inspired by the NME writers Charles Shaar Murray and Nick Kent, I began writing my own reviews in my bedroom basically as an outlet for my opinions and thoughts – this from a young man with no formal qualifications whatsoever having left school at 15 to work as a storeman at the local British Home Stores. Deep down, I harboured a strong desire to write about the music I liked – I was always fairly good at English so undaunted, I wrote these reviews for an audience of one for the time being….the one being me. The first thing I wrote was a review of the Led Zep Alexandra Palace gig I attended in December 1972. I also wrote reviews of the Wings albums Red Rose Speedway and Wildlife and started compiling top tens with written commentary of tracks I liked inspired by a popular column in Let It Rock. I then wrote a review of the Rolling Stones Wembley Empire Pool gig. More reviews would follow over the next couple of years including the Television, The Who, and Bowie gigs I attended in 1977/78. Most significantly and unsurprisingly, I began logging lots of my own personal Zep scribing’s including an extensive feature on Jimmy’s solo sessions and work with The Yardbirds (wish I still had that). 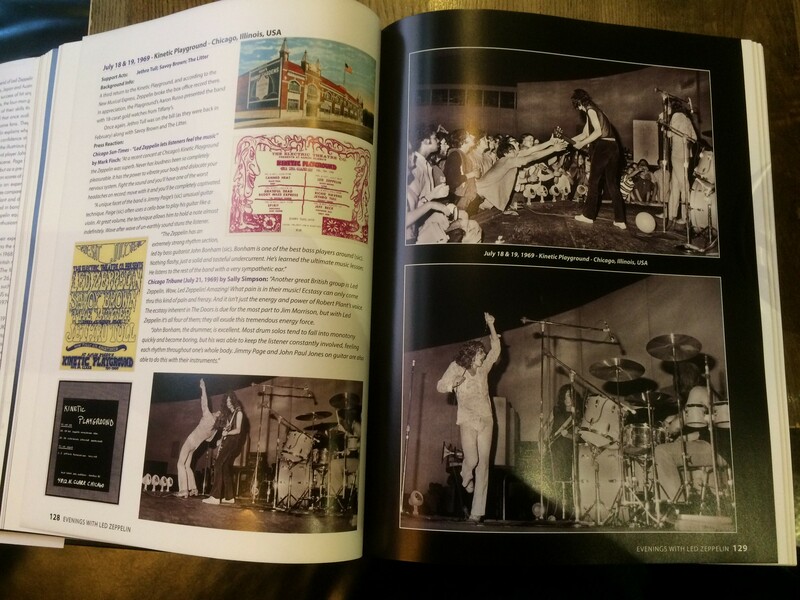 My first ever printed work in the music press was an impassioned letter to Let It Rock about the merits of bootlegs of which I was already an avid collector – duly published (under the rather grand byline David Lewis) in their February 1974 issue. 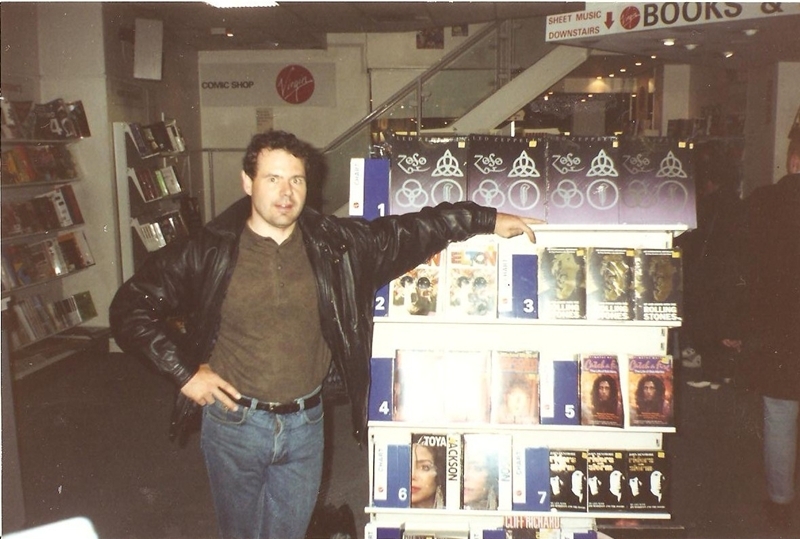 At the time I was still working as a storeman in the stockroom at British Home Stores. Alongside the desire to write about it, I also knew I wanted to work with music in some shape or form. The opportunity to do that came when I met up with the guys who would became my lifelong friends namely Dec, Phil and Tom. Phil worked at the local record shop Carlows. Inspired by Phil’s role as highly knowledgeable record shop salesman, I spotted a vacancy for a job in the record department of WH Smith in Bedford and in the late October I began working there as a junior salesman behind the record counter. 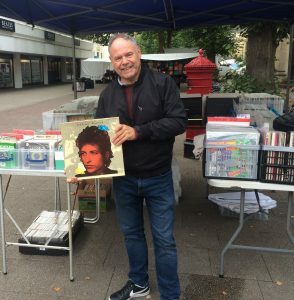 It was an absolute dream job for me and for the next 35 years, I enjoyed every minute of a hugely fulfilling career in music and entertainment retail that unfortunately came to a somewhat abrupt end when I was made redundant in February 2009. 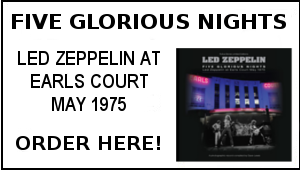 By 1977 I had amassed a lot of my own writings on Zep including my extensive reviews of Earls Court and Presence plus a feature on the imaginary contents of the live chronological album that Jimmy had talked up a lot back then. Armed with all this, I set to work formulating a fanzine about Led Zeppelin – inspired by the do it yourself ethics of the punk fanzines Sniffin’ Glue and Ripped And Torn, hand writing the entire contents. The pages of a first proto type issue of a this Led Zeppelin fanzine I dubbed Tight But Loose (after an expression Jimmy and Robert had used to describe the band’s music in interviews on the 1977 tour) were duly photocopied around late 1977/early 1978. The catalyst that would bring this idea onto the streets and create a platform of communication between like minded fans across the world was just around the corner – and it was to come in the form of the weekly music paper Sounds. I’ll explain more on in another of these DL Reflections. Back to The Rolling Stones. 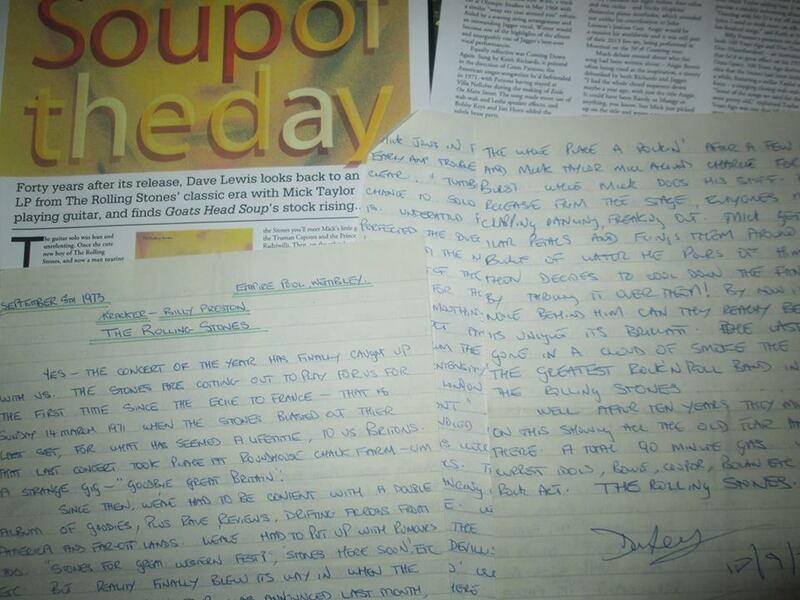 During the research for the Goats Head Soup album feature I did for Record Collector , I found my original hand written review as compiled back in September 1973 after I had attended their afternoon show at Wembley Empire Pool. It makes for incredibly quaint reading but the passion is all there….that same passion that has fuelled every written project I’ve undertaken on since. Some 40 years on from my bedroom writings to an audience of one, my thoughts on The Rolling Stones of that era appeared in a cover story feature in Record Collector – focusing on their Goats Head Soup album. 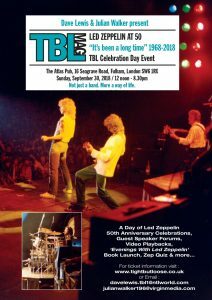 So It’s been a long and winding road – this music journalism lark, with many a twist and turn along the way –but I’m absolutely blessed to have been able to undertake it and to paraphrase the singer, writing and talking about music – be it Led Zeppelin at Knebworth, on the TBL website, in the TBL magazine, or features in Record Collector etc. totally defines who I am and gives me a reason for being…rather than having been. More DL/TBL Reflections to follow. And suddenly the summer has gone. It’s already getting slightly colder and there’s an autumnal feeling in the air. I always feel a little reflective after my Birthday and this year is no exception. As mentioned above, I have been wading through some past DL/TBL archive pieces. There’s also been a couple of very welcomed reflective musical selections to soak up. Firstly the new Paul Weller album True Meanings. I’ve often compared Paul Weller’s musical stance to that of Robert Plant. 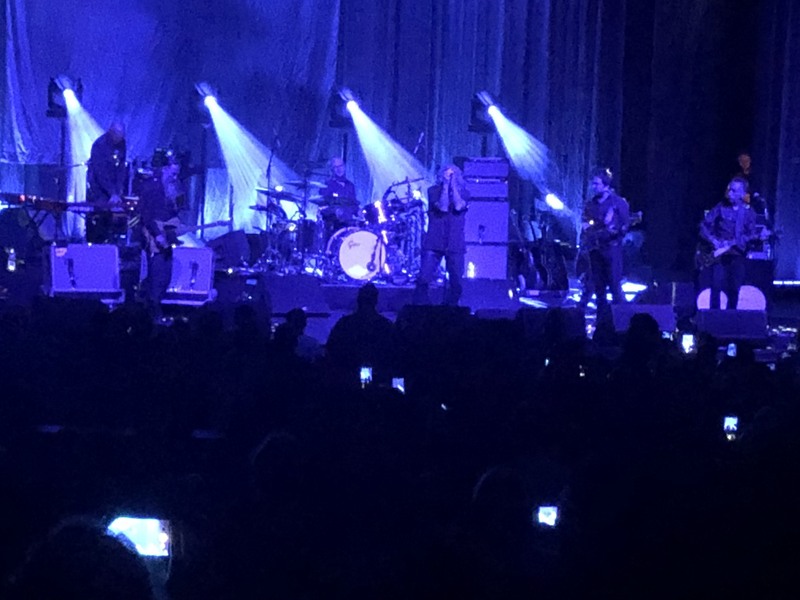 Resisting the call of the past while being comfortable with it’s legacy, Paul Weller strides on making music that pleases him and ultimately his audiences. This latest album finds him at 60 in a wistful mood echoing Robert Plant’s reflections on the Lullaby and the Ceaseless Roar album. Looking back to look forward in a series of personal songs performed in a sparse semi acoustic setting. Many of the songs are shrouded in sensitive string arrangements that hark back to the late Robert Kirby’s work with Nick Drake. 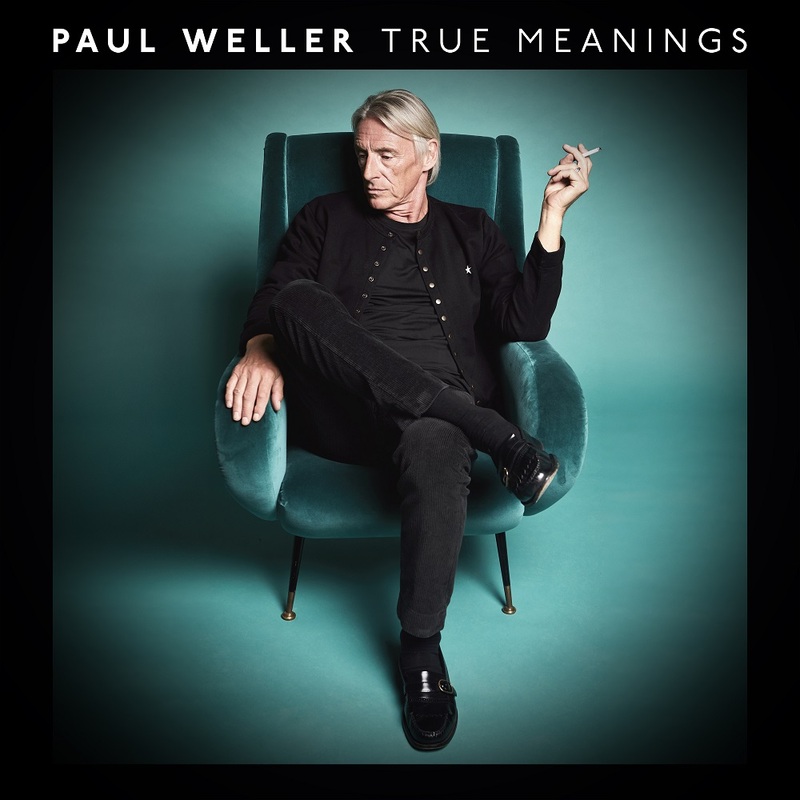 The plaintive mood on True Meanings recalls earlier Weller wistful laments such as English Rose, Lisa Radley, Ghosts and Head Start To Happiness. Weller has also adopted that close to mic breathy vocal delivery often favoured by Plant. This is heard to great effect on the slow and fragile Glide. Elsewhere, the lazy stroll of What Would He Say ? is supplemented by Chris Storr’s pleasing Penny Lane like flugel horn. The mournful Aspects feature the delicate string arrangements of Hannah Peel. 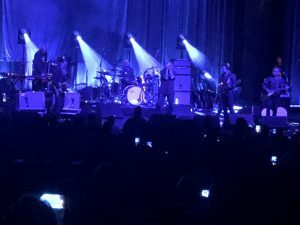 Bowie is an abstract tribute with lyrics by Erland Cooper. Various cameo players enter proceedings along the way. Folk legends Danny Thompson and Martin Cathy add credence to Come Along. Rod Argent adds a Zombies like Hammond organ to the opening track The Soul Searchers. Noel Gallagher plays harmonium on the mantra like Books. Throughout the album Paul Weller displays a vulnerability in his playing and composing that is in keeping with his maturing of years. No longer the angry young mod punk of 1977 of course – but a man with the same reflections, fears and hopes of those of us of a similar age. It makes for some melancholy listening. True Meanings is therefore sure to be a repeated warm pleasure on the player here in the coming colder months ahead. 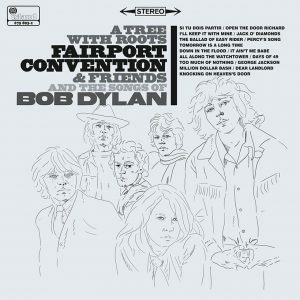 Patrick has cleverly woven together 17 Bob Dylan compositions by Fairport and friends covering the years 1967 to 1977. The friends of course include the much missed Sandy Denny. Her live rendition of Tomorrow Is A Long Time is one of the stand out tracks. 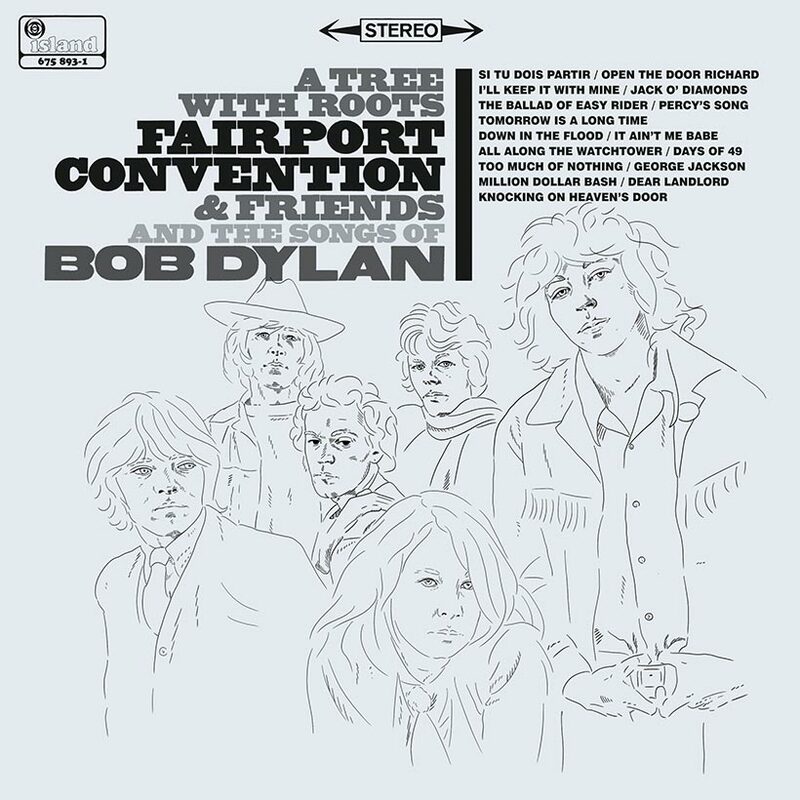 Sandy is also present and very correct on Fairport’s wonderful delivery of I’ll Keep It With Mine from the What We Did On Our Holidays album – and a 1974 version of Knocking On Heaven’s Door. All in all, this compilation is a sheer delight rounded off by some warmly affectionate and informative sleeve notes by Patrick. Along with the aforementioned Paul Weller album, Robert Plant’s Fate Of Nations ( in memory of Martin Allcock) and the recently released remastered Song Remains The Same set, it’s been the perfect reflective soundtrack as I lead in to a very busy few weeks. Dave, this is a great project, which would be unique and much welcomed. You have such a huge, generous heart, which is so evident from all your writing, whether books, articles, reviews, or side notes, even RIP announcements, and brief comments. plus there is so much humor, and you self-deprecating stories! Always uplifting, encouraging, and never cynical or snarky. And even when you take issue with an artist or another writer or whoever, you are always very fair, stating your point or disagreement, and then getting on with it, never tearing anyone down. We all love being along with you for the ride, and this project sounds like an absolutely delightful companion volume for anyone who loves music. Looking forward to it! So sad to read of the premature passing and dignified battle of Martin Allcock. As part of the rebooted Fairport “Maart” combined multi-facected musicianship and humour, bridging rock and folk, tradition and contemporary. Check out Jewel in the Crown, or his contributions to the recent release of highlights from Cropredy 2017 – What We Did on our Saturday. Also the death has been announced of Chas Hodges, of Chas & Dave. Consummate musician and entertainer, who played Knebworth 79, sharing the first bill with a different incarnation of Fairport Convention. Hi Dave. Still have my ‘photocopied’ TBL#1 – after seeing your ad in Sounds (I think) in 1978 – so been with you and your publications since the very beginning, which brings me around to today. 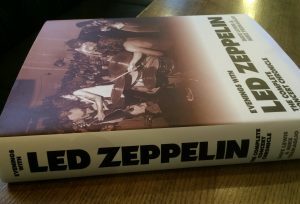 Received my signed copy (#061) of ‘Led Zeppelin Live 1975-1977’ this morning. Thanks very much. Never a truer saying than ‘a picture paints a thousand words’!! many thanks yes More Blood On The Tracks will be on my radar for sure!